For a quiet, secluded getaway nestled in the scenic countryside, Painted Gait Farm in Chandler offers 80 acres of pastures, two streams, trails and a quaint lodging. Less than an hour from the Oklahoma City Metro, this working cattle ranch invites you to enjoy a self-catering stay with 360 degree scenic views of the countryside. De-stress and disconnect from stress and go stargazing at night, or fish in a pond stocked with a variety of fish. Upon arrival, you'll be greeted with the farm's happily-raised cows, calves, horses and friendly dogs. This property features two beds (one king, one twin), two bathrooms and accomodates up to three guests. 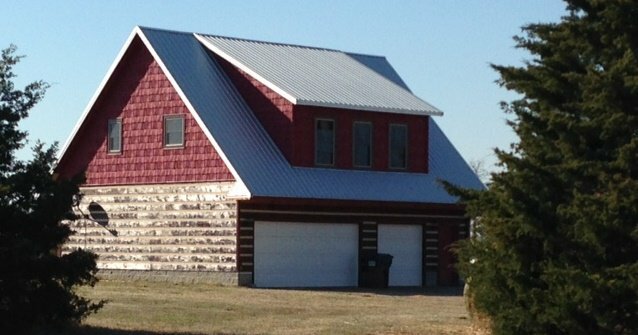 Experience the relaxing rural life, even if only for a weekend at Painted Gait Farm.